It is hard to go a day without seeing an article or a viewpoint in the media declaring Artificial Intelligence (AI) will make certain jobs redundant – but will it be the same for those roles carried out in the finance industry? 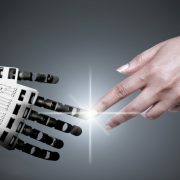 Technological advancements are at a faster pace than ever, with computers becoming more reactive and human-like in their responses and decision-making. In January, a round on the American television quiz show Jeopardy was won by a computer named Watson, beating previous quiz show champions. 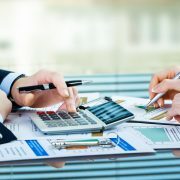 The rapid pace of technology advancement will no doubt see computers performing some accounting and finance functions, and this is already happening. Recent innovations like mobile phone apps that can identify expenses from photos of source documents, and automatically allocate them to the accounting records, are already widely used across a range of industries. In fact, last year HMRC confirmed it will begin rolling out AI to review tax returns and issue tax penalties. Deciding to implement such technology in business must be well planned and researched. It is important that management make the decision in the context of their particular business. For example, do they have the resources to employ this technology – certain pieces of software can be expensive and involve significant upfront costs before yielding any benefits. Do staff have an appetite to adopt this technology? To maximise effectiveness, it is important that staff are trained and competent in using the technology on a regular basis. How secure is the software and the devices used? This is particularly important in the current world of big data, with the real risk of data breaches in large and small businesses across the globe, not to mention compliance with data protection legislation. Whilst it appears inevitable that technology is developing to take over the more repetitive or basic accounting and finance functions, there are some positive aspects for use of this technology by accountants and businesses. Not only will technology bring about new types of jobs that will be less repetitive and more interpretive (increasing employee job satisfaction), it will also free up management’s time to focus on value-adding activities. Activities that can add to revenue (such as focusing on new markets, products and clients) or reduce costs within a business. If firms are looking to the future but aren’t open to change, they will lose competitive advantage. As Northern Ireland businesses increasingly compete on a global scale, the adoption of robotics and technologies is essential. Rather than seeing technology as a threat, accountants and businesses should see it as a growing opportunity. Many businesses faced with complying with Making Tax Digital (MTD) need to take some time to assess their current business needs, how these might change in the near to medium-term future, and figure out what technology they’ll need to comply. The key driver behind MTD is to move businesses, no matter their size, to some form of digital accounting. MTD is seen as not only a major efficiency win for the enterprises concerned, but it also enables the government to streamline the tax systems that are in place today. In an ideal world, this would mean an online tax account for every business and self-employed person, for fast and efficient tax filing. However, how businesses use IT can vary significantly, particularly as access to certain technologies is not always possible. Adopting MTD may be a significant challenge for some enterprises, while for others it will require little more than a few tweaks to their existing systems. The vast majority of companies will, however, fall between these two extremes. It because of this that calls have been issued to delay the rollout of MTD, currently expected to arrive in April, something that the UK government has seemingly rejected. 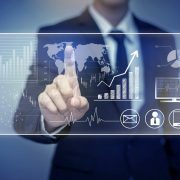 How your business’ digital accounting systems will evolve will, of course, depend on many factors. Your company may already use some form of digital accounting software, so the question may be, does this application need to be upgraded to be compatible with MTD? With research from Spiceworks revealing 52% of businesses are still using Windows XP, this doesn’t bode well for small enterprises keeping their accounting applications up-to-date. There is also the matter of training and competence with the applications, especially if these are new to your company. It won’t be possible to instantly use any of the cloud-based applications without a period of training. Factoring this into your transition period is vital. 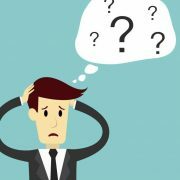 Small business owners are also concerned that their level of technical knowledge won’t be good enough to avoid what could be costly mistakes when choosing new digital accounting systems. Peter Ford, public sector industry principal at Pegasystems, says that his company is working with HMRC to develop their front facing services. Your business’s current level of technical knowledge will determine how complex supporting MTD will be for your company. Small businesses, in particular, will have to potentially make the most radical changes, as until now they may have simply completed their own self-assessment tax form. In the world of MTD, moving to a hosted accounting service will be unavoidable. Mark Taylor, a technical manager in the Technical Innovation wing of the Institute of Chartered Accountants (ICAEW), explains to IT Pro that businesses need to assess their requirements before choosing an MTD software provider. “Choosing an MTD application should be approached in the same manner as selecting business software,” explains Taylor. “An organisation should start with understanding its business objectives, what problem are you attempting to address? In this case MTD. “Next, technology requirements need to be considered. Should the application be cloud-based? Do you need to support mobile devices or need to integrate with an existing application? Once these requirements have been established, a business can start to research possible solutions. As with all software moves, pitfalls are almost certainly going to be encountered, yet, given the fierce market competition that is developing ahead of the April deadline, vendors will be trying to make the onboarding process as simple as possible. Approaching the transition to digital accounting and tax filing needs all the due diligence you would use when choosing any new services for your business. Today, the cloud-based accounting market has continued to expand and evolve. Stalwarts of business accounting such as Sage have been joined by newer services such as FreeAgent and Crunch. What they all attempt to do is simplify the accounting and tax filing processes all business must comply with. As each application or service is different, one size doesn’t fit all. Take your time to talk to other businesses in your sector. Case studies and information from your business’s trade associations can often shed light on the shortcomings of some applications or services you may not be aware of. Use this knowledge to make sure you purchase the right digital services to comply with MTD. 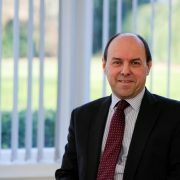 The East Midlands office of accountancy firm Mazars says it has advised on 12 deals in the run up to Christmas. The team says it is seeing resilience across the board at entrepreneurial business, acquisitive corporates, banks and private equity investors, despite economic uncertainty. Mazars Deal Advisory has hired Tom Boss and Jacob Staten in a move which it says reflects the “sustained demand for high quality business advice” in both M&A and due diligence. The sale of £20m turnover Premier Workplace Services to Hong Kong-based Crown Worldwide took Mazars’ deal completion tally over the last three months to twelve. Accounting, much like any industry, has seen its fair share of changes. It has proven to be a very challenging one too, but if you have a knack and drive for it then it might just turn out to be a really lucrative one. People who are already in accounting or are planning to jump into it as a career, often think about the future of the industry and what will happen to it with the rapid technological development and automation being rolled. To answer that question and more, here are 7 interesting facts about the future of accounting. Yes, while we all harbour a small fear that we might just have to give up our work desk to a shiny robot, it is highly unlikely that an accountant will be replaced by a robot. However, with the advancements being made in artificial intelligence and enterprise resource software, you will be at the helm while the technology helps you do a better job. With every day that passes entrepreneurship becomes increasingly popular which makes way for more and more start-ups to surface and eventually grow into companies. These very companies then seek out services in administrative procedures as well as financial ones which means accounting will never go out of business. Now is a time as good as any to be an accountant. If you manage to get a master’s degree in accounting then you can rest assured that you will experience a career with a lot of room for salary growth. The extra time and money that you will invest in getting yourself a master’s degree will pay off twofold for you and more. So, take pass your official CPA exam as soon as you can and venture beyond that. It is true that hybrid careers have become the most sought-after ones such as people who have a degree in engineering as well as law or candidates who have a degree in finance and law as well. For accounting, however, if you can find yourself a niche and become an expert in it then you will be able to stick around in the industry for the long run. Try to take as many relevant courses as you can to grow your expertise. With companies branching out and exploring new waters overseas, they send their delegates to form fronts and setups abroad. The core teams that go along include accountants so that they can cater to the corporation or enterprise away from home and it keeps it running as efficiently as they can. As future accountants enrol themselves for education in this domain, they will seek out business and finance schools to enable and provide them with the knowledge and the tools that they need. This is will be a cycle that will continue to go forever so you can try your hand in the field and in the classroom as well. Both experiences will benefit from the other. Accounting firms are conducting researches on the side as well to see the feasibility of new and upcoming technologies and the new kinds of frauds that come with those. Therefore, accountants with knowledge of digital technologies will help front the research endeavours which the entire industry will benefit from. The Insolvency Service is to start interviewing former directors of the collapsed government contractor Carillion as it steps up an investigation into one of the biggest corporate failures in recent British history. Nearly seven months after Carillion entered liquidation, the government agency said it had finished transferring 278 contracts to new suppliers as part of a painstaking process designed to ensure smooth continuity of public services. Officials are now expected to devote more time to an investigation into why the company failed, including a closer examination of the role played by former directors, who were branded “delusional” by MPs earlier this year. The service has the power to disqualify people from serving as company directors for up to 15 years if it finds them guilty of misconduct and can pass information to criminal enforcement bodies in the most serious cases. Earlier this year, the business secretary, Greg Clark, called on the government agency, which has 1,700 staff, to fast-track its investigation. But while officials are understood to have been in contact with directors, who were accused of “recklessness, hubris and greed” in a report by MPs, they are yet to be interviewed. The government’s official receiver, Dave Chapman, is expected to start the interview process in the coming weeks following the completion of the transfer of public and private sector contracts. In a statement, the Insolvency Service said Chapman had “wide-ranging powers to obtain information, material and explanations”. The inquiry will run alongside two parallel investigations into Carillion’s failure, which is likely to cost the government at least £150m due to the expense of hiring a team from the accountancy company PricewaterhouseCoopers to help manage its liquidation. The Financial Conduct Authority is looking into allegations of insider trading, while the Financial Reporting Council (FRC) is examining the role played by its auditor, KPMG, and the former finance directors Zafar Khan and Richard Adam. The Insolvency Service is turning its attention to the directors after completing the “trading phase” of the liquidation, which involved finding new companies to take on contracts for public services such as cleaning hospitals, serving school dinners, and road and rail projects. A further 429 jobs have been rescued, taking the number saved since Carillion’s collapse to 13,945 – more than three-quarters of the company’s pre-liquidation workforce. The number of redundancies has reached 2,787, while 1,272 have retired or found work elsewhere, the Insolvency Service said. A further 240, mainly in Carillion’s former head office in Wolverhampton, have been retained by the Insolvency Service to help wind down its remaining activities. Chapman said: “Carillion is the largest ever trading liquidation in the UK. He said the Insolvency Service was still overseeing the transition of “limited” services to some suppliers and would also work with suppliers who have continued to provide goods and services during the liquidation to make sure they get paid. “My investigation into the cause of the company’s failure, including the conduct of its directors, is also under way,” he said. Carillion’s failure in January led to widespread recriminations, with former directors, regulators and the government all facing criticism over a company that managed huge construction projects and provided government services.